Errata Security: OMG, the machines are breeding! Mankind is doomed! DOOMED!!! OMG, the machines are breeding! Mankind is doomed! DOOMED!!! 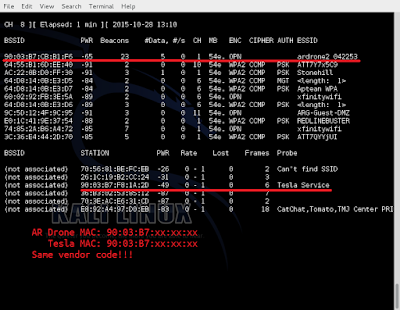 My Tesla has the same MAC address vendor code as an AR Drone. These are two otherwise unrelated companies, yet they share the same DNA. Flying drones are mating with land-based autonomous vehicles. We are merely months away from Skynet gaining self-awareness and wiping out mankind. You can see this in the screenshot below, were we see the output of a hacking program that monitors the raw WiFi traffic. The AR Drone acts as an access-point so that your iPhone can connect to it in order to fly the drone's controls. The Tesla, on the other hand, is looking for an access-point named "Tesla Service", so that when you drive it in for service, it'll automatically connect to their office and exchange data. As you can see, both devices have the same vendor code of "90:03:B7" for Parrot SA. Here is a picture of the AR Drone cavorting with the car. 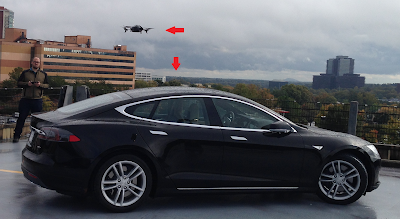 The top arrow points to the drone, the bottom arrow points to the car. So why the relationship? Why does the Tesla look like a drone on WiFi? The company Parrot SA started out creating kits for cars that contain WiFi, Bluetooth, and voice control. Since they were already building embedded WiFi, they apparently used that expertise to make a flying drone controlled via WiFi (from an iPhone app). So while it seems odd that Parrot would sell both drones and automobile components, it's actually overlapping expertise. Car companies like Tesla don't design everything themselves. Instead, the car is assembled from pieces built by other companies. The leather interior, for example, is made by a company that makes leather for other luxury cars. The paint is a standard automobile paint. 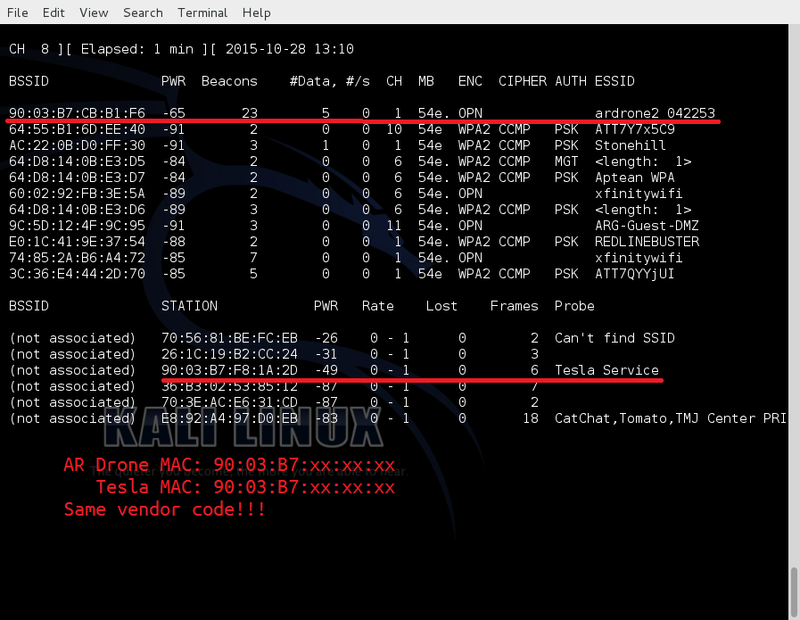 Tesla just included the Parrot voice command and WiFi control unit instead of designing their own. I think even the the "autopilot" feature is software algorithms developed by another company. The only bits that are truly unique to Tesla are the batteries, the engine, and stamped aluminium car body. The same is true throughout the spectrum of Internet-of-things, self-driving cars, and flying drones. All these products are assembled from the same industry base. 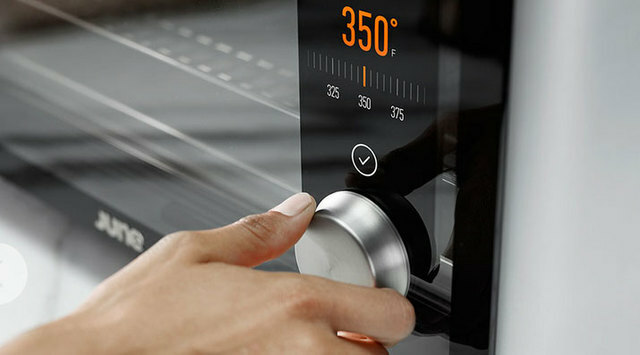 For example, the nVidia Tegra chips in my Tesla are are the same as can be found in "June Intelligent Ovens". Why do ovens need advanced GPUs in order to display the temperature? I don't know, they just do, otherwise Skynet won't get enough compute power to become sentient. The point is this: the machine people are breeding out of control. This can only lead to disaster. Mankind is doomed.